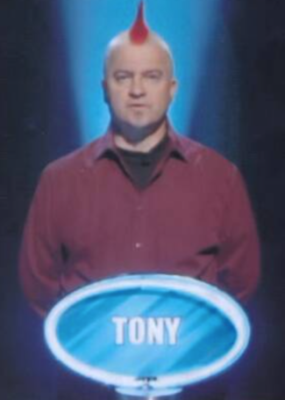 Calverton man is runner-up on the quiz show 'The Weakest Link'. Following an audition at a Nottingham hotel in 2009, consisting of a mock game and interview with a fake Ann Robinson, I was successfully accepted as a contestant on The Weakest Link. A year passed and I recieved a call out of the blue. There were several further lengthy telephone conversations with the Weakest Link research team before being given a recording date for the show. We sat on the sofas and did some shots for the intro, before being assigned our podiums. Unfortunately I had to change my shirt between the couch shot and the actual game as the producer was worried about the wording! We stood at our podium ready to meet the 'Queen of Mean'. At last Ann Robinson arrived on set and we commenced round one. The filming took a total of two hours, which involved a lot of repetition. I felt we all played the game as honestly as we could. Before long I realised there wasn't many of us left. I was lucky the way the questions fell, and, thankfully, didn't have to do the 'walk of shame', surviving all the way to the final. At the end Ann Robinson met myself and the winner only.